Focus 2014 - "Walk a Mile in My Shoes"
Youth service workers from across the country gathered in Louisville for NSPN's Focus 2014 conference - "Walk a Mile in My Shoes" - October 1-3, at the Brown Hotel. Attendees networked with their peers and discussed ideas of significance related to strengthening youth and family services. For over 30 years, NSPN has provided training and technical support for youth and family service organizations. The Focus 2014 conference combines the past efforts of National Safe Place and Youth and Family Services Network – now NSPN. The Runaway and Homeless Youth Act: Where it's Been. Were it is. Where it's Going. Keynote delivered by Justin Reed Early, author of STREET CHILD: A Memoir and public speaker who was homeless for much of his adolescent and teenage years. Mr. Early also appeared in the 1984 Academy Award-nominated documentary, Streetwise. 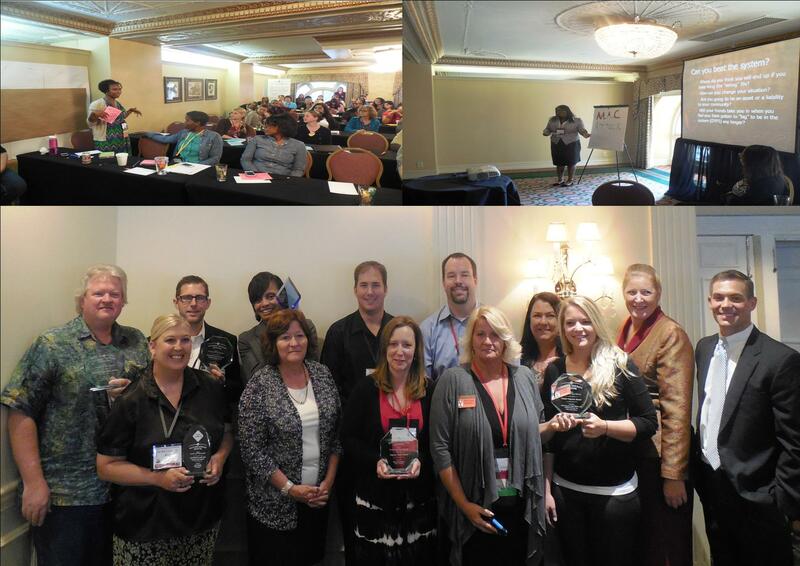 Model Program Award – Clark County Youth Shelter and Family Services; Jeffersonville, Indiana. HEROES for Youth Award – Pamela A. Johnson (1953-2014). This annual award celebrates individuals who have made extraordinary contributions to the services provided to at-risk youth. Keynote delivered by Dr. Christian Conte, licensed professional counselor, nationally-certified psychologist and Level V anger management specialist. Dr. Conte has over 16,000 hours of clinical counseling experience and is the founder of Yield Theory. His books and videos are used to train and educate people from universities to state prison institutions. He travels throughout the country to bring a message of compassion, peace and acceptance. FOCUS 2014 was made possible with the support of NSPN’s Board of Directors, Advisory Board, and member agencies. For more information, visit www.nspnetwork.org. National Safe Place Network (NSPN) provides quality training and technical support for youth and family service organizations across the country. Along with being a leading membership organization offering tailored organizational development, training, and professional development packages, NSPN also operates the nationally recognized programs Safe Place, Runaway and Homeless Youth Training and Technical Assistance Center (RHYTTAC), and HTR3. To learn more, please visit www.nspnetwork.org.